I got a text from my brother the other day. He was sitting at a bar in Wisconsin (land of micro-breweries) when he heard someone ask if they had any gluten-free beers. He immediately thought of me and asked why I hadn’t done a post on gluten-free beer for Oktoberfest. It was a great idea. I immediately called up my dad, the beer connoisseur of the family and invited him over for a gluten-free beer taste test. After a few more phone calls and trip to Total Wine and More we were set for a gluten-free beer tasting. All beer prices are what was paid at Total Wine and More and may vary from store to store. These are all honest opinions and I was in no way compensated for any reviews. Gluten-free beer proved a bit harder to find than expected. I wanted to be able to buy just one of each, not a 6 pack, after all, this was for tasting. I managed to find a selection of 6 different brands, three of which had multiple flavors. I grabbed 8 beers total. There were a couple brands I had seen online, such as Dogfish, that I was hoping to find, but couldn’t. I will have to save them for the next Beer Taste Test. This is just a sampling of what is available, and, of course, they are just out opinions. Beer preferences are extremely varied, but hopefully this will help give you an idea of what you want to try! Just as a reminder, the legal drinking age here in the United States is 21, please drink responsibly. These beers are gluten-free, not alcohol-free. There is much debate on whether gluten-removed beer is safe for celiacs. Much depends on manufacturers testing procedure which are posted on each site. Links have been provided. For the purposes of this post, I am not going to debate this. I will say that I tried all the beers and did not have a reaction to any, but read the testing practices for yourself and make an educated decision. Today, the goal is to determine if any gluten-free beers are worth drinking! So without further adieu, let’s get drinking! When poured Omission Lager has a light foam. It was light bodied with a slightly fruity taste. The lager had a slightly fizzy mouth feel and a nice finish that did not leave a bitter aftertaste. To me it tasted like what I would expect a beer to taste like. Nothing to exceptional about it. Consensus was, if someone served it at a party, it would get drunk, but it didn’t top the list. 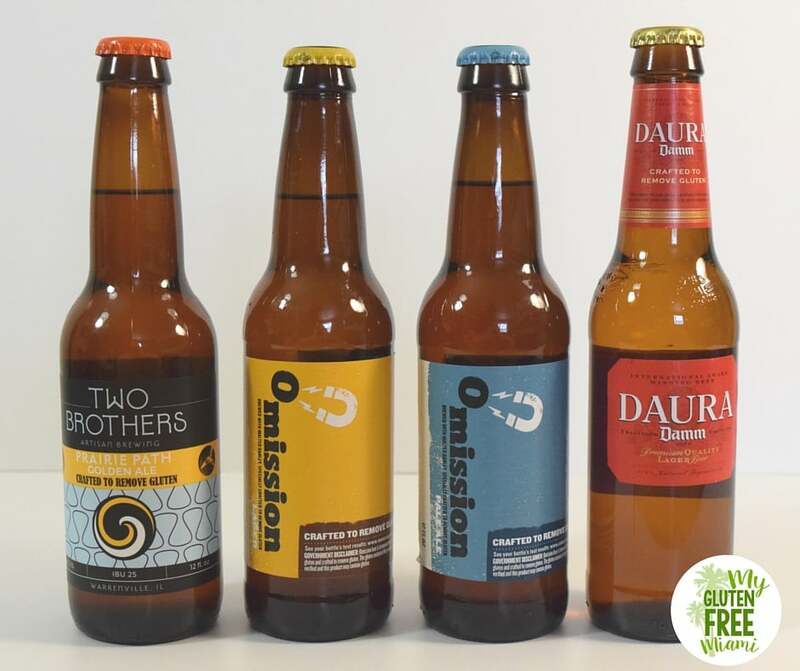 Omission is widely available and at 1.99 a bottle, it would be good to keep on hand for those who prefer gluten-free. We gave it a 6 on a scale of 1-10.
r because it had a better flavor than the lager. If you are a fan of malted, darker beers you may want to give this one a try. For 1.99 per bottle, we would keep one on hand for when people visited. Consensus gave it a 6 on a scale of 1-10, but it is not a beer for everyone. Smooth pour, nice head, at first taste the reaction was that this beer was “very hoppy” and tastes like a beer. It had a nice golden color a clean smell. Slightly fizzy with mild bitter flavor. It had nice smooth finish. Comments included, “I can’t believe this is gluten-free” and “I would buy this.” Even my husband, who has yet to be a fan of gluten-free beer, liked it. At 1.99 a bottle it was a good deal. Consensus gave it a 8 out of 10. As this was opened a strong bittersweet, fermented smell hit us. It was even described as “stinky”. It had a very foamy head and a thicker pour. The mouth feel was muddy, with the taste bitter and burning. This was not a favorite. It was described as “half-way fermented”, like someone started to let it ferment, ran out of time and said, what the heck, let’s just bottle it. This is a European beer, so if you are a fan, then it may be for you, but at 6.99 a bottle, it won’t be on our list. It received a 2 out of 10 on the scale, just for showing up. This Blonde Ale was very fizzy and had a yeasty smell, without much of a head It had a fruity, clean taste. This beer was reminiscent of a champagne. It was on the sweeter side, seeming more like a dessert beer (if that is a thing). Everyone liked it, but it was definitely not your traditional beer. I actually used the leftover to make some vanilla cupcakes (which turned out fabulous). It was good, and at 1.99 a bottle I would keep some around. It got a 6 out of 10. Upon opening this particular ale had a waxy chemical smell. One person said it smelled like a candle. As it was tasted, everyone just looked a bit confused. It was thin and lacked fizz. On reading the ingredients we saw that it contained vanilla and this may account for the candle-like smell. Honestly, none of liked it. I am starting to thing that we just don’t have any European beer drinkers in our group. So, again, if you are a fan of European Beers, maybe give it a try, but at 1.99 a bottle, I think I’m just going to get a coke. We gave it a 1 out of 10. On first pour, Redbridge had a medium head and we were immediately hit with a fruity smell. The beer had a sharp, fruity taste that was more on the hard cider side than the beer side. It is very sweet, and upon reading the ingredients, corn syrup is one of the main ones. I assume this is where the sweetness comes from. To the regular beer drinkers, this didn’t taste much like beer. I like ciders, so I was okay with it. Comments included, “I am glad there is beer for gluten-free people, but I wouldn’t drink this.” The mouth feel was a bit flat, and there was no aftertaste. It is fairly easy to find, and was 1.99 a bottle. We gave it a 4 on a scale of 1 to 10. Right of the bat, as we opened this, it smelled like beer. There was a “wheaty” smell to it. It was foamy, light in color with a slightly bitter taste. A bit sweet, with interesting layers of flavor. There were mixed opinions on this one. Some enjoyed it and thought that it would be really good with some barbecue, while others said it tasted like cough medicine mixed with beer. It is a bit on the expensive side, 6.99 a bottle. We couldn’t come to a consensus and so it received a 5 out of 10. The decision of what beer you like is very personal. If we had to choose one beer to keep on hand, it would have to be Two Brothers Prairie Path Ale. In the realm of Gluten-Free Beers that are NOT Gluten-Removed, I would probably lean towards New Planet. They have quite a few other flavors (as does Greens) so I would like to see how some of the others compared. It also turns out that no one in our group likeaEuropean beer, so I would love to have someone who generally does like them, try them out and see how they fare. Hopefully this roundup gave you some ideas of beers you would like to try. There are many more out there, so we will be doing some more testing in the future. 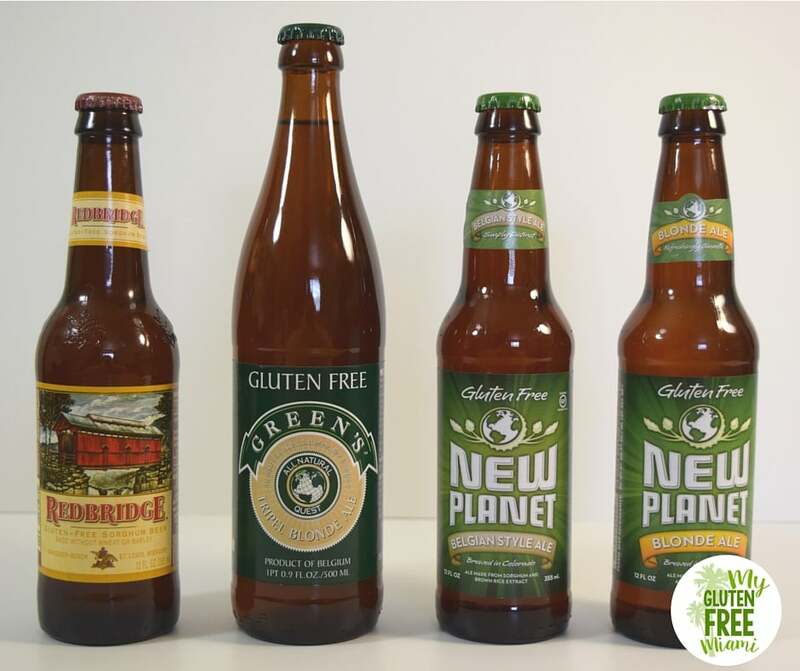 Comment below and let us know what your favorite gluten-free beer is! This is a very important post! I love beer, but it doesn’t love me. I need to try all of these!!! Thanks! Omission has great beers! love this list. I really do! I am gluten free, but not a big beer drinker. I had no idea that some beers have the gluten removed. I am pinning this for later so that I have a reference. 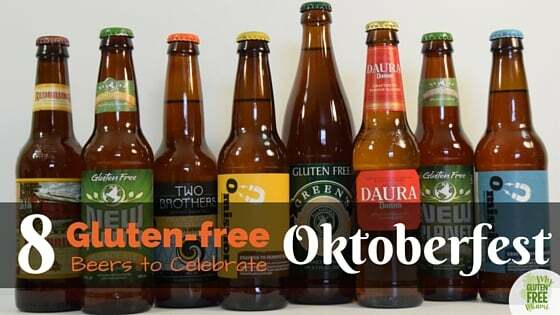 I have only tried a few gluten free beers. Gluten Free has to be a good option. Beer with a bit of health. Ever had Lemon Beers ? Very Yummy !! I haven’t! I would love to try them, I’ll have to see if I can find one! Hi Amanda, it looks like I’ll have to give Two Brother’s Prairie Path Ale a try. Have you ever tried Angry Orchard Hard Apple Cider? It’s not a beer, but it has alcohol, is gluten free and tastes yummy! Two brothers was definitely our favorite, but if I had to go with something that was not Gluten- removed I would do new planet…I do love angry orchard…I have one waiting for me in the fridge! Thank you for sharing such important information! I myself have a gluten sensitivity and I avoid drinking beer, because it is so hard to find here gluter-free type. I will have those brands in mind. I’m sorry that you have a gluten sensitivity, but I hope you fine one you like! Thanks for this. I’ve only tried one GF beer, made with sorghum. I liked it because it reminded me of the GF bread I made lol. I’m gonna take note of your recommendations the next time I go beer shopping. It is interesting how we miss a lot of things because we are not used to it. Seeing all the beers listed here made me think, we are really like sheep sometimes and miss out learning on other stuff. I know it is about beer and that’s great but to me, it is also an eye-opener! Well done. Thanks! 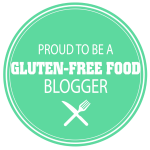 It is amazing how much I took for granted before having to become gluten-free. Great post! I’ll have to give a few of those a try! You definitely should! Let me know your favorite!